In 2006, John Prisco founded the Xtreme Fighting Championship (XFC) and began searching for talented young MMA fighters that had yet to be discovered. This approach and keen eye for talent has helped lead to the rapid growth and success of the XFC, which includes drawing the largest crowd ever to an MMA event in the state of Florida. Recently the XFC signed a two-year contract extension with HDNet, which begins in 2012. This new TV deal coupled with the XFC’s continued international expansion efforts puts the organization closer to Prisco’s ultimate goal of seeing the XFC become the number two MMA promotion in the world. Prisco spoke with ProMMAnow.com‘s Josh Cross earlier this week about the XFC’s new deal with HDNet, why the organization has been so good at discovering talented young fighters, and how some strategic partnerships the promotion has made could change everything. PRO MMA NOW: Just starting off, can you talk a little about the history and background of the XFC for those who might not be very familiar with your organization? JOHN PRISCO: I founded the XFC in 2006. I had looked at what was going on in the industry and I just saw a lot of promotions that were basically taking a lot of ex-UFC fighters, fighters that were released, and then starring them on their shows thinking that somehow that would make them successful. I saw it happening over and over again and it was like you know the definition of insanity is doing the same thing over and over again and expecting a different result, well that’s what I was seeing over and over again in MMA. You know the sport being only 20-years-old really and now there’s an MMA school on every block where 15 years ago it was hard to find an MMA school. The talent of these young fighters today is through the roof so I knew that these fighters were out there, I just had to go find them and as far as from a talent perspective I could have the most talented fighters in MMA. So that’s what I did, I started reaching out and doing open fighter tryouts and started promoting some very big shows. You know we had 13,000 people at our first show in Tampa. Now we gave a good part of the house away [because] we wanted people to come in and see a great product. I figured that would just allow us to grow as an organization much quicker than the normal pattern so we took a chance and we did it, but we knew that we have a very good product. We take these very young fighters that are super talented and we match them up very tough and they’re fantastic fights. And the fact that they are fighting in front of eight to t thousand people and now fighting on national TV and you’ve got these young kids that are so talented, they’re going to leave everything they’ve got in the cage. So you can imagine what that translates to as far as the quality of the fights. It shows. People are seeing it. I think that’s why HDNet very aggressively pursued us to renew our contract with them. PRO MMA NOW: Now the XFC is known for having a good eye for talent. Fighters like Rafaello Oliveria and Ovince St. Preux fought in your organization early on in their careers. Can you talk about what makes the XFC so good at spotting great young fighters? JOHN PRISCO: It’s a good question. You know we have our own school here in Brandon, Florida. It’s a 7500-square-foot facility. We do open fighter tryouts in different parts of the country. When we bring these people in to evaluate them we really put them through their paces whether it’s the tryouts or just to come in for an evaluation. We push them hard in every facet of their game. Also, when you take a fighter like a Rafaello Oliveria or an Ovince St. Preux or a Chris Barnett or Ian Stephens, I could go on and on about our young fighters, and you match them up very tough against people who have been in tough fights, you can escalate their progress very quickly because if they’re competing against people who have been in there against other fighters that have been fighting at a high level, they can get to where they need to be as far as they can be seen much quicker. So it gives us an opportunity as a promotion to actually evaluate this talent very young in their careers by matching them up so tough. There is no protecting of fighters with the XFC and what goes on where many times you don’t know what kind of talent they really have when they’re pushed because you’ve protected them. That doesn’t happen with the XFC, and because we match them up so tough you know the cream rises to the top and you can do that very quickly. So that is one of the reasons why we’re identified as a promotion that really generates some very talented fighters. PRO MMA NOW: Now the XFC has been very successful in the short time since you founded it in 2006. Would you credit that success to the value you place on scouting talent or is there something else you would say is responsible for the success the XFC has had so far? JOHN PRISCO: It has to be a complete package. Yes you have to have great fights but you also have to have the ability to promote well. We’ve had five consecutive shows in Tampa. Our first five shows we had 10,000 people in attendance. Who has done that in the industry? Look, initially you can let them all in for free, but let me tell you something you better have one hell of a product because all you did was spend a lot of money and wasted it if you don’t have a strong product. All you did was really unzip your fly basically. You let everybody in to see something that was inferior. So if you have confidence in your product and you believe in the vision that we have and you promote the way you should promote and get everybody in there to see your product they are going to like what they see and then they are going to be willing to pay a price to come see it for future events. That’s what we did and it worked for us because we have such a superior product than many other promotions. PRO MMA NOW: Now the XFC recently signed a two-year contract extension with HDNet beginning in 2012. Can you talk about that deal and what that partnership with HDNet means to the XFC? JOHN PRISCO: Well I can talk about some aspects. Some aspects are held private, but it’s a very aggressive deal. We’ll be doing a lot of shows. We’ll be doing eight to 10 shows per 12-month period. Our next show on the network is actually October 21, and then we have another show December 2, and then you’ll see a show every five to six weeks from the XFC. What does it mean for us? HDNet has been a tremendous partner for us. Their production is fantastic in the industry. They are very supportive. They have a great fan base that follows their network. They are wonderful people to work with that have a passion as well about what they do, and it shows. Then when they come and work with us they love working with the XFC because they see our staff and [they see] the same kind of dedication and passion to putting out a great product. They love the fights. They’re stoked about our fight cards when they come and see these kids leave everything in the cage. So you know the relationship has been great for us and that’s why we wanted to stay with their network. We have had some offers maybe on other networks, but we’re happy with HDNet and we want to stay with HDNet and it just seems right for us right now. PRO MMA NOW: In addition to this new deal with HDNet a recent press release said that you have brought in some new partners that as you said will “help the XFC become the number two MMA promotion in the world.” That’s a pretty lofty goal, and while you haven’t made the formal announcement introducing these partners yet, can you give us any more details about how they will be helping the XFC? JOHN PRISCO: That announcement [regarding the partners] is within two weeks, and when you hear who is in our group you will understand why I made that statement. These are people that have made a huge impact in this industry already [and] also people that have made a huge impact in boxing. There is a lot of experience in this group. I’ll use an analogy that the Yankees had. Back in the 1920s the Yankees put together a lineup that was called Murderers’ Row and there were no weak spots in the lineup. You couldn’t avoid [anybody] and you had to pitch to everybody. Well we’ve got Murderers’ Row for MMA as far as a group that has been assembled, and that announcement will be made within two weeks. PRO MMA NOW: Can you give us any more details about what these partners bring to the table and what they will be specifically helping the XFC with? JOHN PRISCO: It will be funded to another level. Experience. They have tremendous experience behind them, [and] contacts in the industry, with TV, and with distribution of your product in different parts of the world. They also have contacts with acquiring the top talent in the industry that is available. I could elaborate even more and we will with the next press release. PRO MMA NOW: Now will these partnership begin working for the two fight cards you have left this year, or will they begin in 2012 with the start of the new deal you have with HDNet? 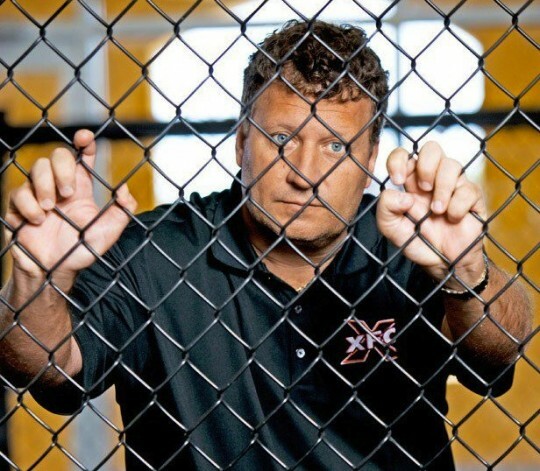 JOHN PRISCO: Well what you’ll see from the XFC is you’re going to see the same thing we’ve had all along, which is taking these very young fighters, securing them young in their career, promoting them properly, putting them on a big stage not only in these venues with so many people but on HDNet, and also our other distribution of cable networks across the country. So giving them a lot of exposure so they can become names. Putting people in front of them that are accomplished fighters that if they beat they become elevated even more that much quicker. So you’ll see that. Now with these people that are coming on into the group you’re also going to see some very established names as well. We’ll be careful who we choose because I’m not interested in a fighter who has been cut from the UFC because he was a sub-par fighter. It just has no interest to me at all because he will come into my school and he’ll fight my guys and he is just going to get wacked out anyway. Yeah he can be used as a name for my guy to elevate himself, but he is not a guy that I am looking to necessarily build my promotion around because if he wasn’t strong enough to stay with the stable of fighters at the UFC then I don’t believe he is strong enough to stay with the XFC as well. PRO MMA NOW: Last year you talked about international expansion with the XFC with XFC Africa for instance. With all that is happening with these partnerships and the extension of the HDNet deal, is international expansion still a main goal of the XFC and something that you are still focused on? JOHN PRISCO: Yes, absolutely. We did a show in Cyprus at the end of 2010. We have offers to do shows in different parts of the world and we’re going to start doing shows in Canada now. China brought a contingent to our last show. The prime minister’s sister was at our event. They are very interested in the XFC going over there. We pulled back the reins on China only because we wanted to be very aggressive with the training that would take place in China, because China just doesn’t have the background for MMA. Their background, the martial arts originated in China, but they’re background is standup type of disciplines like Kung Fu, karate, and things along those lines. So China has a long way to go as far as MMA. It’s going to take some time to evolve there so the only way that we would go to China is we really have to be very aggressive on the training aspect as well. I’m not interested in going into a market that literally is going to take possibly decades to develop so while there is still a lot of interest in China we also look to other parts of the world where the sport has come along a lot more aggressively. We love the Canadian market. You’re going to see us doing shows in Canada in 2012. Turkey wants us to go back and we’re looking at Istanbul as a market and other potential markets. We get offers frequently because people know that we’re not hesitant to go into a very, very good show in another part of the work. Our goal is to spread our industry to different parts of the world and see it grow. There are just different factors that have to be met before we determine what location we’ll go to. PRO MMA NOW: You’re also doing tryouts in addition to shows in these places too? JOHN PRISCO: Yeah, we’ve co-promoted in South Africa. We have a promotion over there we’ve worked with called XFC Africa. They’ve taken the best fighter who won the tryouts in Africa and we’ve brought them to the United States and he is 2-0 with the XFC. His name is Jeremy Smith. He is their best prospect over there. We’ve had relationships with South Africa for quite some time. We’ve had a couple of other fighters come before Jeremy, so that’s a location of the world that we’re really starting to develop and we’re excited about it. Jeremy Smith is one hell of a fighter. He had fight of the night last card when he fought Joe Ray. PRO MMA NOW: Now for the upcoming XFC fights on HDNet will those events take place in just the Southeast or are will they take place in other regions as well? JOHN PRISCO: You’re going to see us doing shows at the Mohegan Sun in the Northeast in 2012. We’re the largest MMA promotion on the East Coast of the United States. We might be based in the Southeast and have done shows here, but we’ve done tryouts in the Northeast, so we’re acquiring talent in the Northeast, and now we’re going to start doing shows there as well. So you’ll see us bouncing up and down the whole East Coast I think, but not to say that we won’t go to different parts of the United States as well. PRO MMA NOW: For MMA fans who might not have seen the XFC before, why would say they should make sure to see one of your shows, and what would you say they can expect when they do? JOHN PRISCO: Well like I said, it’s something that you can talk about all day long, but until you see it you won’t really appreciate it. You can go to our website and there is a clip of one of our tryouts so you can see a little bit of how we evaluate these fighters. But when you can take a top level fighter, who you might not know his name but in that part of the country they certainly do because the is considered their top prospect, and you match him against another guy maybe from a different part of the country and again you might not know his name but he’s a top prospect in that part of the country, and you take these two guys and you put them in a cage and you lock the door and they’re both fighting that night the biggest fight of their career, and now you translate that over an entire fight card, well you’re going to have incredible fights. And that’s exactly what we do. That energy and the level of the fights, people see it and they’re just excited about it. Like anything, UFC puts on great fights, but you’ll also have some guys that maybe that night they just didn’t bring it. Maybe they just got a little complacent. Maybe they money that they’ve made has slowed them down a little bit. These guys that we have are hungry. This is their shot. And when you’ve got 90 percent of your card and this is the biggest fight of their life, and it’s all happening on the same night, something special is going to happen. PRO MMA NOW: Now you mentioned your website earlier. Are there any other places you would suggest that fans go to keep updated on what is happening with the XFC? JOHN PRISCO: Well we have XFC news on our website, so we update that. You can google XFC and there are a lot of YouTube clips out there so you can actually see the sizes of the crowd and the enthusiasm and the fights. You can see how it’s such a well-rounded, entertaining show. Our fights are top notch but it is also extremely entertaining. We have an incredible dance team because guys love to see beautiful women. There are all kinds of video packages going on and music and lights and everything else. It’s a very entertaining evening. So the website is a good way to follow us, but also just search online too, but I’d say the website is definitely the way to go. PRO MMA NOW: Now are there any specific people, partners, groups, or sponsors that you might want to plug or thank? JOHN PRISCO: What I think makes the XFC so special is you see this core group of people that are together, that have been together all along, and there was no money to be made in the beginning especially. We were all doing it because we believed in it and we had a tremendous passion for the vision that we felt was a correct vision in the industry. So when you can get a bunch of people like that who are willing to work for free to build this into what it is today, it’s a very special organization. And so [I’d like to thank] my assistant Heather, Tom Caserto, and Ken Bradley who is head of our production. There are so many people. There is Nick, and Chris who is our host you know who has done all of those interviews for free and running all over the state and sometimes in different parts of the country. There are so many people and we have contacts that we are developing all around the country now so we can get the best talent from that specific part of the country. Guys like Angelo Bodetti in the Northeast. It’s a big group and you almost don’t want to start naming names because you know you’re going to miss a bunch. 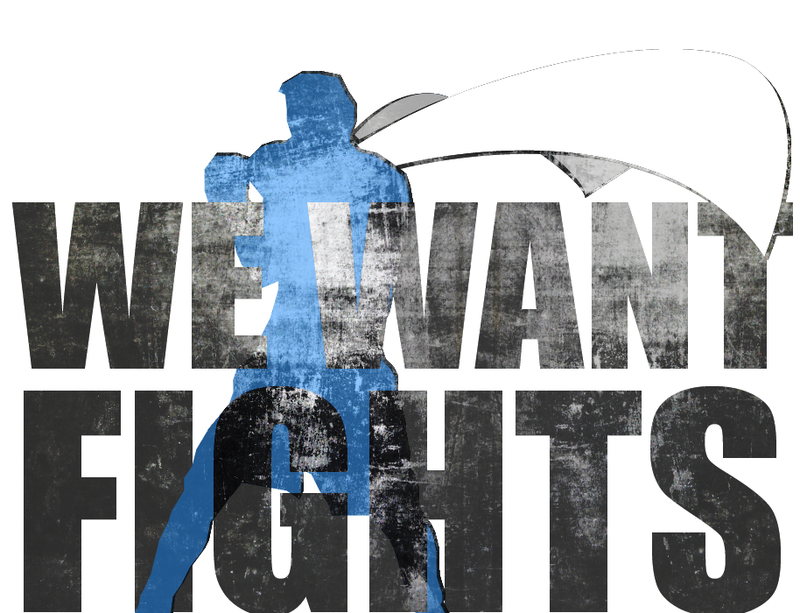 It’s a long list and we’ve been a very tight-knit group and it really shows the passion that we have for the XFC and the vision that we have. It’s the reason why this has worked for us. It’s the reason why people have paid attention to us. When has a promotion made this much noise that never was really ever funded? We had to do this the right way. You know a lot of times when you have a lot of money you can go and do shows, but you’ll never really perfect it because you’re throwing money at it where we couldn’t afford to the mistakes. We had to work very hard and we had to do it right. We didn’t have the chances and opportunities to make mistakes and I think that has helped us overall.